Dear beautiful backpackers and adventurers, looking for something a bit different on Koh Lanta? 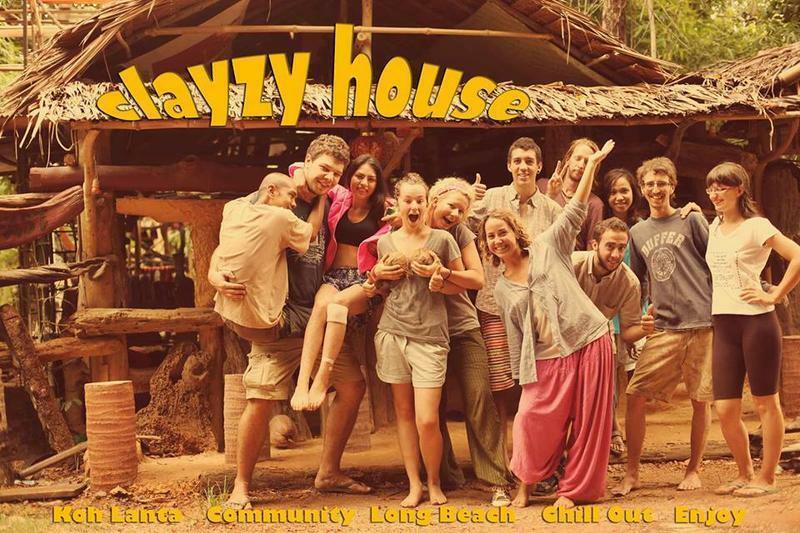 Clayzy House is for you! We have everything you need for a perfect beach stay: funky bar, great tunes, live music and open mic, 107 meters to the beach, if that's not enough we also have the usual, free wifi, showers, kitchen, hammocks, excellent staff, singing dog and if you decide to sleep, dorm and private rooms with a funky tree house feel at budget cost. Our hostel was built by international volunteers, our main building materials include clay, drift wood and everything that can be recycled back to life and reused. We are full of art, be it canvas, wood, posts, tables, all created by people from all over the world. Here at Clayzy House we prefer the personal feel where the staff will join you for a beer or seven, encouraging new friendships and giving local recommendations for food, bars and activities, doing our best to make sure our guests have the best possible time here. Our bar is usually open till 11 PM but we will be always happy to direct you to good parties. We are located on quite busy back packer road, so in high season there is plenty going on around. At this very original hostel our motto is 'Don't worry, be happy', so come join in and let the good times roll! When you arrive at the ferry, there will be many taxis waiting to pick you up, we are 5 km away, you should pay around 60B per person for a taxi. Ask the driver to take you to Long Beach to Clayzy House close to Funky Fish Resort.